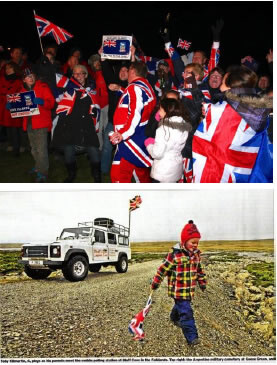 The Falkland Island Government held a Referendum in 2013 where we showed the world our desire to remain British (99.8% in favour); journalists galore arrived in the islands, though during Prince William’s helicopter posting here we had come accustomed to the world’s media. Toby appeared in the British press and we were interviewed by various news channels. Kevin explains why he thinks the referendum is important. Click here. We had two very difficult seasons with many cruise ship cancellations due to bullying from the Argentine government during Cristina Fernandez Kirchner’s presidency and her introduction of the “Gaucho Rivero Law” prohibiting ships from visiting the Falklands.